Here comes Hair Fair post number two! I’m going to squeeze in as much as I can in this post, so bear with me. This has been one busy month for designers and bloggers. There are a ton of great events going on. Here’s some more of my hair fair favorites! First up we have the adorable pigtails & buns from Amacci.. these are just my style. The hairs come with a color change hud which, includes several hair colors along with some ombre/fades, and you can also change the colors of the bows. Amaicci also has a bangin’ freebie that comes in a ton of colors, shown below! Here are my favorites from Little Bones this year at the event. I love this brown to pastel pink fade color because it reminds me of my RL hair (talk about high maintenance!). I discovered Sugarsmack last year at hair fair and the Brynn hair is one of my favorites this year. Braids<3!! Next we have Geek. These hairs come with a color change hud as well, and you can also change the color of the streaks in the hair for a more customizable look! RedMint was another discovery from last years hair fair and this years hairs are crazy adorable. Check them out below. There is also a freebie version of the No.23 hair! Last but far from least is Milana one of my long time favorite hair stores. One of my “signature” hairs in 2008 was from Dernier Cri.. and I still have it. I loveee their blue colors. Whew! That is a lot of hair. I think from start to finish this post took about three hours (I’m still slow as a snail in photoshop haha).. I need a TV break! lol And now for the rest of what I am wearing…..
all poses by infiniti poses from various basic female packs! I’ve got some more hair fair goodness to show you. Next we have ison! 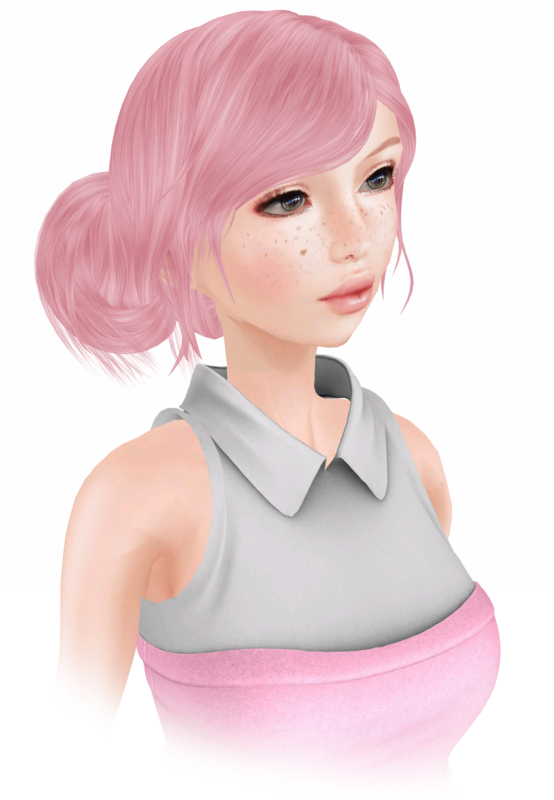 These hairs are so adorable and there are a ton of color combinations in the color packs so be sure to test out the demos. And for the final store, here is pritty with more cutenesss! The hair accessories are so my style.. love these!